Misses slim pants and skirts each in two lengths. 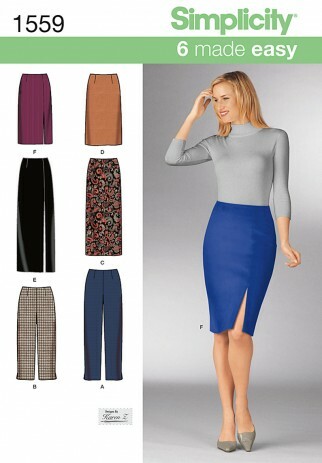 Make a classic long skirt with a slit or a knee length tapered pencil skirt. Pants can be made to the ankle or capri.